Rhapis Excelsa is a rarely found tree which is famous for its beautiful leaves. 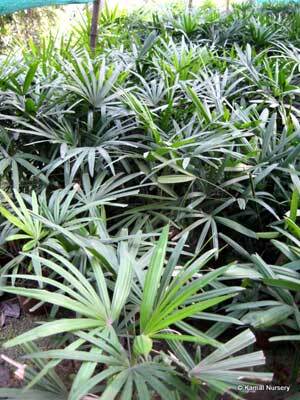 We offer superior quality Rhapis Excelsa Plants to cater to your gardening requirements. We are specialized in cultivating this type of trees. The nurseries where these plants are cultured are well-maintained and have all the necessary conditions for the better growth of the plants. We have achieved prominence among the Green Rhapis Excelsa Manufacturers in India. We are also considered among the premier Suppliers of Rhapis Excelsa, all over the country.